Spirit houses sit next to almost every building in Bangkok- be it an office tower, house, hotel or condo tower, you will find a spirit a house next to it. And with the rate of tearing down buildings to make way for new high rise structures, the deserted spirit house is a fairly common sight. I gather nobody wants the perceived bad luck associated with tearing down a spirit house and have been keeping an eye on a few of the deserted spirit houses in my neighborhood to see their fate. 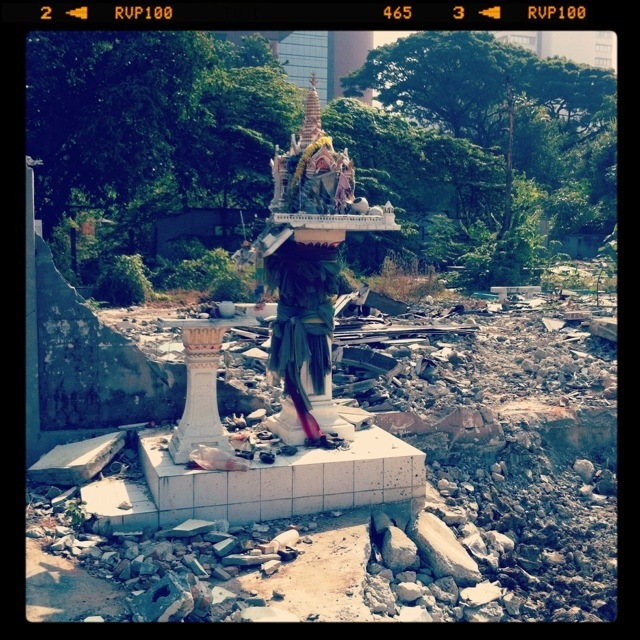 This entry was posted in photographs, Thailand and tagged Bangkok, Spirit house. Bookmark the permalink.